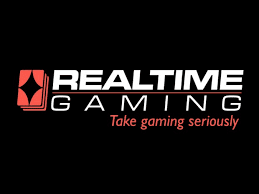 Realtime Gaming, otherwise known as RTG, has been in business since 1998 and has since made a very respectable name for itself in the realm of online gambling. It is a casino software giant and powers more than 100 casinos across the web today, including Slots Jungle. Its Real Series slots are one of the most innovative casino releases in more than a decade, and these alone keep players interested in RTG casinos. Another great thing about RTG is that it does not stop its casino owners from accepting players from the United States in spite of the UIGEA of 2006 which is one of the main reasons why Slots Jungle features this software. 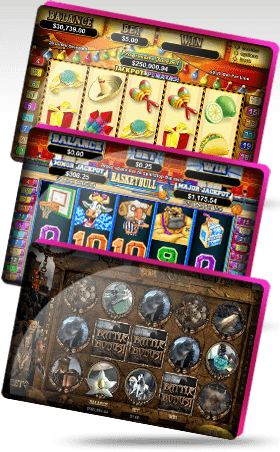 The selection of games offered by Slots Jungle and Realtime Gaming is quite impressive, and this is particularly true of the slots. The Real Slots series of games has certainly taken the world by storm thanks to their realistic graphics and sounds, interactive gameplay and impressive jackpots. Most of the games can be played with the 'Autoplay' feature as well, allowing players to have multiple slots going at once while enjoying a hand of blackjack elsewhere. Another claim to fame is the provider's ability to allow the player to progress through seven hands of blackjack per minute! Perhaps the most important aspect of RTG's software has to do with the fact that Slots Jungle players from almost any country in the world can enjoy the games here--and for real cash. Since RTG has not added any 'blocks' in its software, Slots Jungle accepts US players and offers them a shot at the massive jackpots in the network.